Hello! I have a beautiful shade for you today! 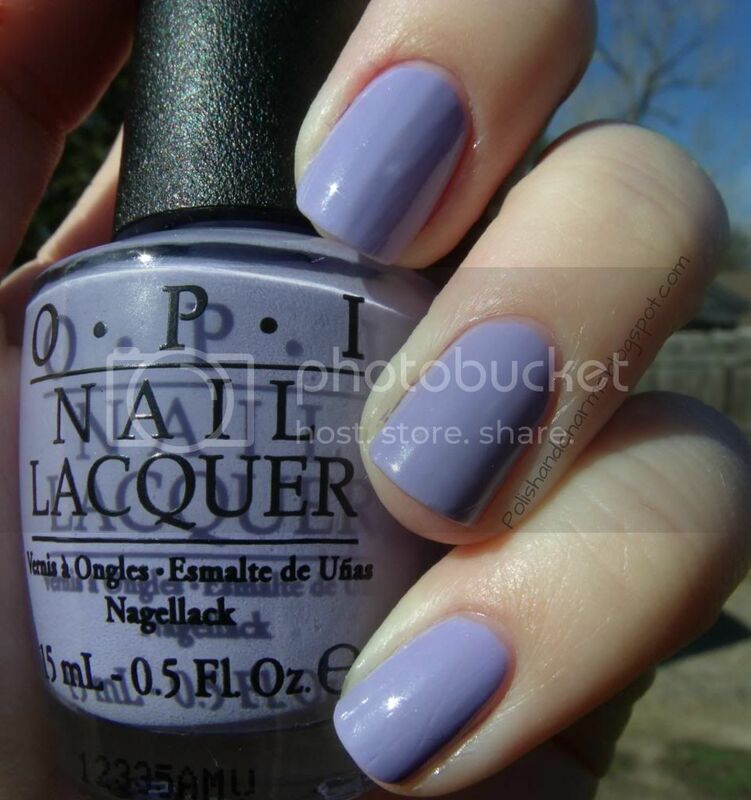 This is OPI You're Such A Budapest from the Euro Centrale Collection. Believe it or not, there is some hidden shimmer in the polish. I don't see it in the bottle, but when I started to apply it, I could see it. Sadly, it becomes hidden again once you start applying more layers. It's still a beautiful color though! What you see is 3 coats. I had to do 3 as it is a little thin, but that didn't bother me because they were thin layers. Enjoy! It's a pretty color, but 3 coats... I actually think I end up getting none from this coll. Gorgeous! I think I do see a little bit of the shimmers in there! This is such a pretty purple! I melt for purples like this. This is probably the only color off the Euro collection I should buy since its so pretty and unique but it probably will just be the first I buy from that batch lol Its so pretty! I'm tempted to get this color....eek! I love it!